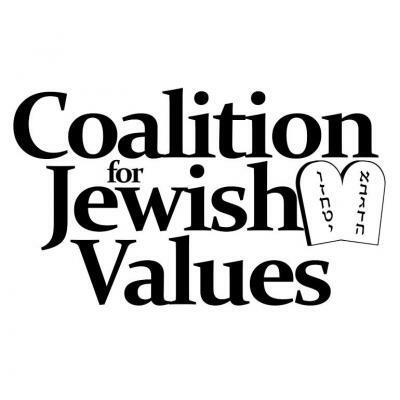 Baltimore, MD, Jan. 22, 2019 — In a letter to Secretary of Health and Human Services Alex Azar, the Coalition for Jewish Values (CJV) today requested the reversal of regulatory changes "that demand religious organizations act contrary to their faith principles if they wish to aid America's most vulnerable children." The letter highlighted the "direct human toll" resulting from the new regulations: "dozens of children waiting in group homes rather than placed with foster parents able to care for them as individuals." In the waning days of the Obama Administration, new regulations at the Department of Health and Human Services added to nondiscriminatory requirements on the basis of "race, color or national origin," to include both religion and sexual orientation. These new requirements violate the beliefs and practices of many faith-based organizations, precluding them from serving needy children. "One need not share the beliefs of faith-based organizations to recognize that their rights are being violated, and the children are directly harmed as a result," commented Rabbi Yaakov Menken, Managing Director of the CJV. "The claim that allowing religious organizations to operate according to their principles is 'discriminatory' is untenable -- no one is harmed by the availability of more options. It also nullifies the freedom of 'exercise' of religion guaranteed in the First Amendment, while leaving children in group homes. No one wins in this situation, save those whose mission is to banish religion from the public sphere."